Katie Gardner, Joey Marchetti, Sarah Boucher, Matthew O’Brien, and Ashley Dowling in Digital Media Class look like they are happy to be back. 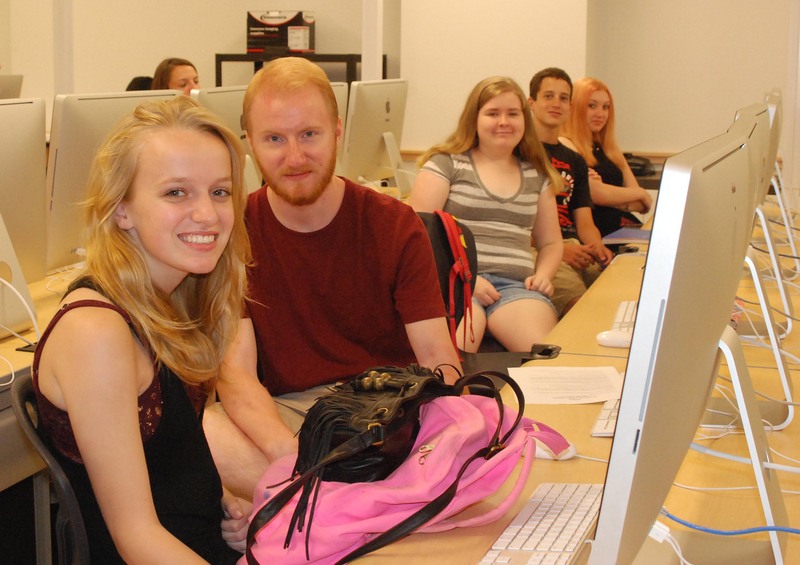 On Wednesday August 27 Rockland High School students began their academic year. But not everything is the same. “The schedule rotates now and is somewhat confusing,” sophomore Jackie Malloy said. For incoming freshmen the schedule is something they are familiar with from middle school, but there are still things they need to get used to. “In the middle school all our classes were on one floor. Now we have to go all over the place,” said freshman Jaymie Atkins. After their first two hectic days, students will have the long Labor Day weekend to recuperate.